It’s now crunch time. I was glad I had some time because the meds required prior authorizations from the insurance company. I find it silly that they have to “approve” my medications. They so graciously allowed me to pay $2,500 before the coverage actually kicked in. lol. So how did I actually get these medications? The task is pretty daunting for many, I am thankful that everything went (mostly) smooth for me. First the clinic faxes the RX’s to a pharmacy, they probably have one or two that most of their patients use. The pharmacy they originally sent my RX to was “not authorized” by my insurance company, so the clinic automatically transferred it to another pharmacy. This is where I got a little confused. I was waiting for the first pharmacy to give me a total cost, then the second pharmacy calls me. I asked if they were the same company? they weren’t, I told them I was already working with a pharmacy (neither the pharmacies or the doctors or the insurance companies mentioned about transferred RX) So they said OK well call us if you want a second quote. 7 days later I called pharmacy #1, they said they don’t work with my insurance and had transferred my RX. So I call pharmacy #2, they said OK we’ll process your order, had to wait multiple days for prior-auths. Finally got a call saying they have my total. I paid them and they shipped it out that night, less than 24 hours I had a box of medication. Inside the box was a silver refrigeration bag with ice packs and medication inside. underneath the silver bag was more bags with meds and needles and a syringe disposal box. 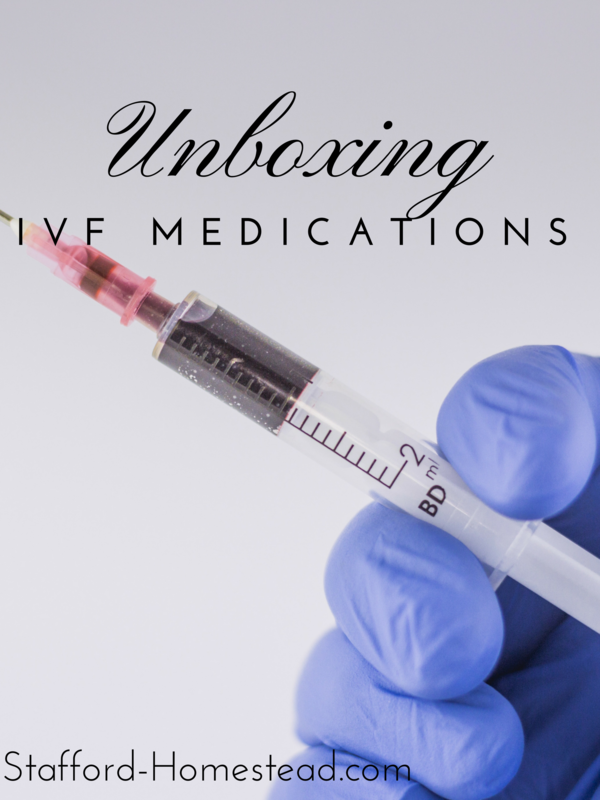 The box wasn’t nearly as big as I expected from other IVF blog descriptions. Centrotide needs to be refrigerated! Gonal-F can be refrigerated or room temp for up to 28 days. Since I still have more time I am going to set up my “Station” soon, I’ll probably buy a cute organizer or 2 to keep it easy once treatment begins. It’s also very important to keep a record of what meds you have, and how much is left/used, to be able to order refills in proper time. Since I will be stimming around the 4th of July I will need to make sure I have enough because shipping carriers will be closed on that day. Previous Cultivating a Successful IVF Cycle, Part 2: Meditation, Affirmations and Sleep. Next Gonal F Injection: Day 1 Of My First IVF Cycle.